What To Do If In Colorado Car Accident - Bell & Pollock P.C. Home|Car Accidents|What Should I Do If I’m In An Auto Accident? 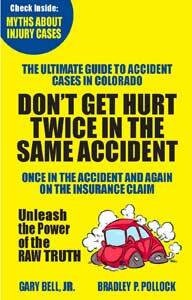 Denver car accident attorneys Bell & Pollock understands how frustrating and confusing car accidents can be in Colorado. Whether it’s a head-on collision that takes the life of a loved one or a rear-end accident that causes back and neck pain, everything often happens fast. If you’re not prepared, you could be caught off guard, putting your health and your financial security at stake. 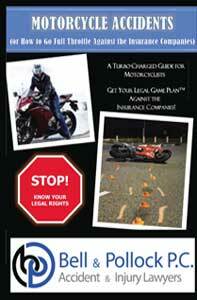 We believe strongly in educating the public about auto accidents and all the legal options available to them. We provide this service because we believe people make smarter choices when they’re better informed. We’re proud to be your legal information center, and we encourage you to explore our website. If you have never been in a car accident before, it’s sometimes hard to know what to do or where to start. Luckily, you’re not alone, and you’re not the first person to ask the same questions. What should I do after I call the police about my auto accident? Am I allowed to see a copy of the police report for my car accident? Should I take photographs of my car accident? Should I call a lawyer after an auto accident in Colorado? Mostly likely, no. Leave your car right where it is – unless doing so would put you or other people on the road in danger. Ask the other driver to do the same. If the other driver caused your car accident, keep the accident scene intact. Yes. 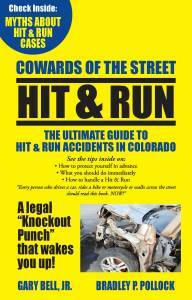 Police officers in Denver and other communities in Colorado are trained to handle all kinds of car accidents. By having a police officer there, you will also create a police report for your accident – something that could be very important when trying to obtain compensation from an insurance company for your accident. Start gathering evidence. This includes looking for anyone who might have witnessed your accident. If someone saw your accident, get his or her name, address and phone number. Witnesses can help you build a stronger case. Then write down as much information as you can about your accident, including time of day, weather conditions, if there are skid marks on the road and if the street lights and traffic lights are working. Use your phone or camera to take pictures. The more information you have, the better. Yes. Make sure you get a printed copy of the report. Before the police officer leaves the scene of your accident, get the officer’s name and badge number. Also ask the officer how you can obtain a copy of the report. Then make sure everything in the report corresponds with your facts. Yes. Don’t simply rely on the police to collect information about your car accident. Take photos of everything you can at your accident. Take pictures of the scene of the accident. Take photos of any injuries, your car, the other car, traffic lights or street signs around you. Every detail matters. The more facts you have, the stronger your case will likely be. Yes. Even if you don’t feel injured, let a doctor decide. What might seem like something minor could turn out to be a serious car accident injury. You should see a doctor as soon as possible after your car accident. And if you have a serious injury, make sure you receive treatment immediately and your injuries are documented. The reason: insurance companies often demand evidence of an injury before compensating injury victims. Don’t miss follow-up medical appointments, because that could send a signal to the insurance company that your injuries are minor. Should I call a lawyer after a car accident in Colorado? Absolutely. Even if your accident seems straightforward, many car accidents in Denver or another place in Colorado can quickly become very complicated. The best personal injury lawyers in Denver have years of experience handling complicated car accidents. 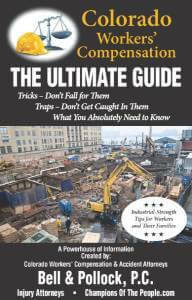 They know how to get injury victims the compensation you rightfully deserve and deal directly with insurance companies. Remember: Insurance companies often only care about one thing: paying accident victims as little as possible. That’s not right. That’s why you need a Denver personal injury law firm to fight for your rights and demand justice. Auto accidents in Colorado can be extremely complicated. That’s why it’s critical that you have someone on your side that knows the law and takes your case seriously. At Bell & Pollock, we treat every client with dignity and respect. We don’t tell you what to do. We work with you. You make the final decision. You’re in charge. That’s just one of the things that makes our law firm different. We put your needs first. Our client-focused approach influences everything we do at Bell & Pollock. From offering a free case evaluation to every client to working on a contingency fee basis, we make sure your needs always come first. We’re on your side. Every case matters at Bell & Pollock. Every person’s legal needs receive our full attention. Discover what a caring, committed lawyer can do for you. 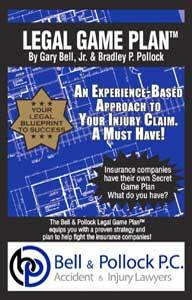 Contact Bell & Pollock – “Champions of the People.” Call (877) 744-5900 or (303) 795-5900 right now.